Over the past decade, rising tourism levels have greatly impacted Cambodia’s hospitality industry. Hotel owners and operators are now faced with increasing commercial and legal issues. 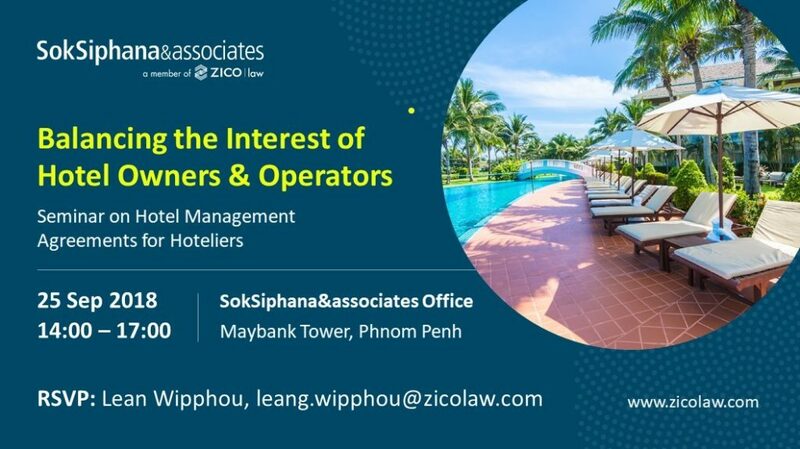 Join us as we discusses how to soften the impact of these issues and overcome conflicts between hotel owners and operators. RSVP: The seminar is open to all and seats may be reserved in advance by contacting Mrs. Leang Rithphuong Wipphou at *protected email* or +855 23 999 878.